Experience, competence, responsiveness, and cost-efficiency make the difference for you. 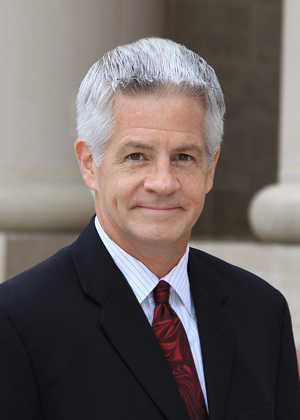 Southwest Houston attorney Michael Brophy has been a successful civil litigator throughout the State of Texas for more than 30 years, has enjoyed a coveted “AV” practice rating since opening his doors, and has been listed in the Bar Register of Pre-Eminent Lawyers since 2004. Mr. Brophy has competently and cost-effectively handled lawsuits involving such diverse subjects as maritime disputes, product liability, medical and nursing-home malpractice, personal and commercial auto and homeowner's insurance claims, hospitality industry claims, commercial disputes, and insurance coverage disputes . He has handled cases in State and Federal Courts throughout the State of Texas, from El Paso, to San Antonio, to the Rio Grande Valley, Corpus Christi, Houston, Dallas/Fort Worth, and many areas of East Texas. Tired of lawyers who won't return your calls? Responsiveness is a cornerstone of this Houston-area law firm’s everyday practice. Whether we’re already handling a case for you, you need us to take your new case, or you simply have a legal question that needs to be answered so that you can make informed decisions about your business or personal dispute, we’re here to help. Your calls will be returned within 24 hours, without fail! Tired of 'sticker-shock' legal bills? Transparency is another cornerstone of our practice. When you entrust us with your legal dispute, you’ll be provided with specific information about who will assist Mr. Brophy in handling your case, how much we’ll charge for our time and services, and when you will be periodically billed (we accept both monthly and quarterly billing arrangements, at your discretion).